With the bank holiday weekend, only a matter of hours away, we’re here to provide you with a special twist on the classic mojito. We’re sure you’ll be enjoying a couple of tipples over the three-day break and what better than creating your own cocktail for all of your friends. Tried and tested, this recipe for strawberry mojitos is one our favourites! With summer right around the corner, strawberries in season, this is the ultimate refreshing drink. It barely takes any time at all to prep and if you make a jug tonight, it will keep in the fridge all the way through till Monday! Rim the glass with a wedge of lime and then press the glass onto a plate of sugar making sure to cover the whole edge with a sugary finish. Cut two of the strawberries into quarters and two sprigs of mint into small pieces. Add these to the glass and then squash them with a muddler. Carefully pour in the white rum (we’re partial to Bacardi) and follow it up with the lime cordial. Add a teaspoon of the caster sugar for taste and then top up the rest of the glass slowly with soda water. 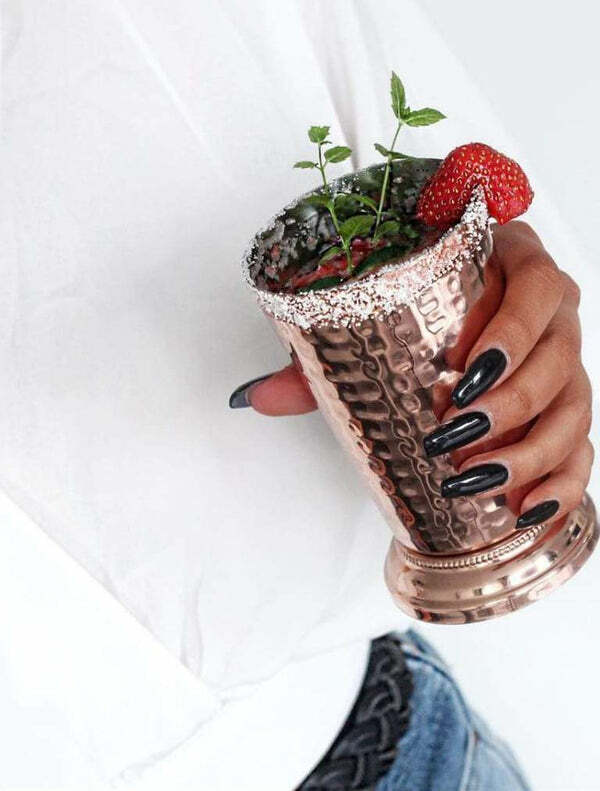 Slice halfway into your last strawberry and place it on the rim of the glass, then rest the last sprig of mint on the decorative strawberry and you’re done. We hope you have a great bank holiday weekend and have a drink on us!